As a small business owner, having the right credit card is an important part of your financial security and peace of mind. When you’re worried about running your business and serving your customers, the last thing you want to worry about is whether your credit card is charging you too much or whether it’s serving you well. On this list, you’ll find the best credit cards for small business owners. Some pay cash back rewards on your biggest business expenses, others offer 0% financing for an introductory period, or you can earn travel rewards to offset the cost of your travel expenses. Many small business rewards credit cards offer a sign-up bonus when you spend a certain amount in the first few months of opening your account. With the Chase Ink Business Preferred Credit Card, you’ll earn 80,000 bonus points after you spend $5,000 on purchases in the first three months. The bonus is worth up to $1,000 toward travel rewards when you redeem through Chase Ultimate Rewards. Ongoing, you’ll earn three points per dollar on the first $150,000 you spend in certain business categories each year. That includes purchases you make on travel, shipping, internet, cable and phone, as well as social media or search engine advertising purchases. 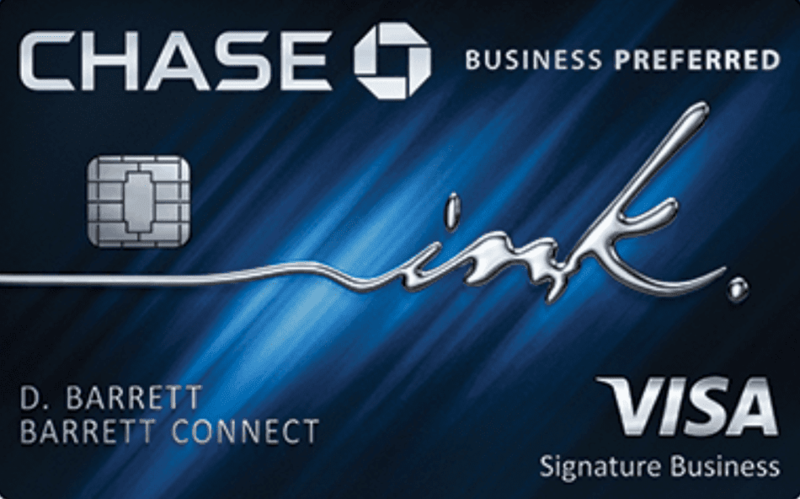 All your other Chase Ink Business Preferred purchases earn unlimited one point per dollar. Use Chase online booking tool—Chase Ultimate Rewards—to redeem for airfare, hotels, car rentals, and cruises and your points are worth 25% more. Important Pricing: APR is 18.24%-23.24% variable. The annual fee is $95 and there’s no foreign transaction fee. With Capital One Spark Cash, your business can earn a $500 cash bonus just by spending $4,500 on purchases in the first three months of account opening. Ongoing, your credit card purchases earn unlimited 2% cash back. There are no special categories to keep up with and you don’t have to tailor your spending to earn additional rewards. If you spend a lot on your business, you have the opportunity to earn hundreds of dollars in rewards each year. Redeem your rewards at any time and in any amount. There’s no minimum redemption. Important Pricing: Purchase APR: 19.24% variable. The annual fee is $0 in the first year, $95 after that and there’s no foreign transaction fee. The Business Platinum Card from American Express pays five points per dollar on flights and prepaid hotels when you book through amextravel.com. Then, earn 1.5 points per dollar on eligible business purchases of $5,000 or more—up to 1 million points per year—and one point per dollar on everything else. American Express gives 35% of your points back when you use your Membership Rewards to pay for all or part of an eligible fare. Enjoy a $200 airline fee credit each year that you can apply toward incidental fees like checked bags and in-flight purchases. You’ll have the chance to earn up to 75,000 Membership Rewards as a sign-up bonus. First, you’ll earn 50,000 Membership Rewards points after you spend $10,000. Then, earn an additional 25,000 points when you spend $10,000 more on qualifying purchases within your first three months of opening your account. Important Pricing: There’s a $595 annual fee and no foreign transaction fee. This is a charge card, meaning you must pay your balance in full each statement period. The SimplyCash Plus Business Credit Card from American Express is the best credit card for earning cash back on office supplies. You’ll earn 5% cash back at office supply stores and wireless services purchases directly from U.S. services providers. Then, earn 3% cash back on select categories of your choice up to $50,000 each calendar year; and 1% cash back on everything else. You’ll have the ability to spend above your credit limit, up to a certain amount depending on your payment history, credit record, financial resources, and other factors determined by American Express. Important Pricing: Enjoy 0% APR on purchases for the first 15 months. After that, the regular APR will be 14.49%, 19.49%, or 21.49% depending on your creditworthiness. There’s no annual fee. With the CitiBusiness / AAdvantage Platinum Select World MasterCard, you’ll earn 70,000 American Airlines AAdvantage bonus miles after spending $4,000 in purchases in the first three months of account opening. Earn two miles for every dollar you spend on select business purchases including gas stations and eligible American Airlines purchases. Other purchases earn one mile per dollar. The sign-up bonus and rewards are great; the additional perks put this card above the competition. You’ll earn an American Airlines Companion ticket if you spend $30,000 or more each year; save 25% on in-flight purchases on American Airlines flights; plus, fly to select destinations on American Airlines operated flights for up to 7,500 fewer AAdvantage miles. Check your first bag for free and receive preferred boarding on domestic American Airlines flights. Important Pricing: The regular APR is 17.99%-25.99% variable. The annual fee is $99 (waived the first 12 months), and there is no foreign transaction fee. If you need to establish or rebuild your business credit, check out the Wells Fargo Business Secured Credit Card. You can make deposits between $500 and $25,000 to secure the credit limit for the credit card. Wells Fargo will periodically review your account to determine whether to upgrade you to an unsecured credit card. The time frame for the review and the conversion vary. For this reason, it’s important to manage your account wisely. Earn 1.5% back and receive your cash back automatically as a credit to your account or to your eligible checking or savings account each quarter. There are no spending categories or caps on the amount o rewards you can earn. Important Pricing: The interest rate is Prime + 11.90 percentage points. There’s a $25 annual fee per card and no foreign transaction fee.